Skip Hop’s much-loved activity gym engages baby with friendly faces and multi-sensory features. 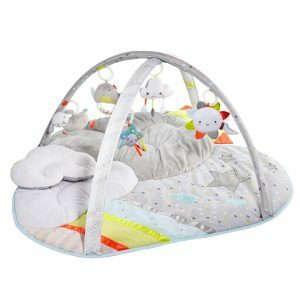 It includes soft linen and patterned arches and includes a matching supportive Tummy Time pillow. A mirror and built-in sounds and textures on the mat add to the fun.